Pricing applies to new residents only. Community information, pricing, and availability subject to change. Please call for additional availability. Proof of renters insurance is required, or residents will be charged an insurance exemption fee. *In certain situations, a larger security deposit may be required. Your new Club at North Hills Apartment offers spacious, open floor plans to fit your furniture while still giving you space to stretch out. Our one and two-bedroom apartments range from 572 square feet to 1,039 square feet and feature amenities designed with your comfort in mind. Modern convenience and luxury come standard in your new Club at North Hills apartment home. 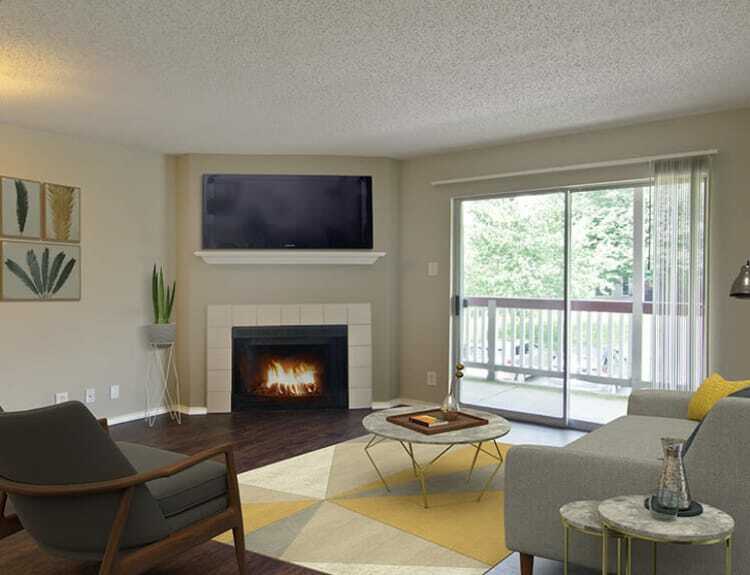 From a spacious living space and vaulted ceilings to a fully equipped, chef-inspired kitchen and cozy, wood-burning fireplace, your new apartment home will be the envy of friends and family. Don’t forget about scenic views from your private balcony or patio and your roomy, walk-in closet to keep your life organized. We’ve thought of everything at Club at North Hills. Your comfort and convenience is our highest priority and we look forward to welcoming you as you settle in to the apartment home of your dreams. 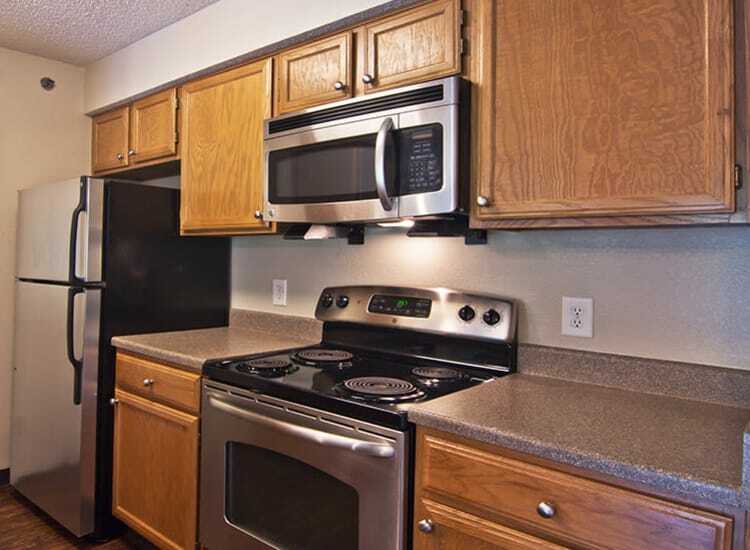 Take a look at our floor plans, and then give us a call to learn about how you can join our happy community.